Hi-ya all! Welcome to Mrs. Lincoln's Inkin'! 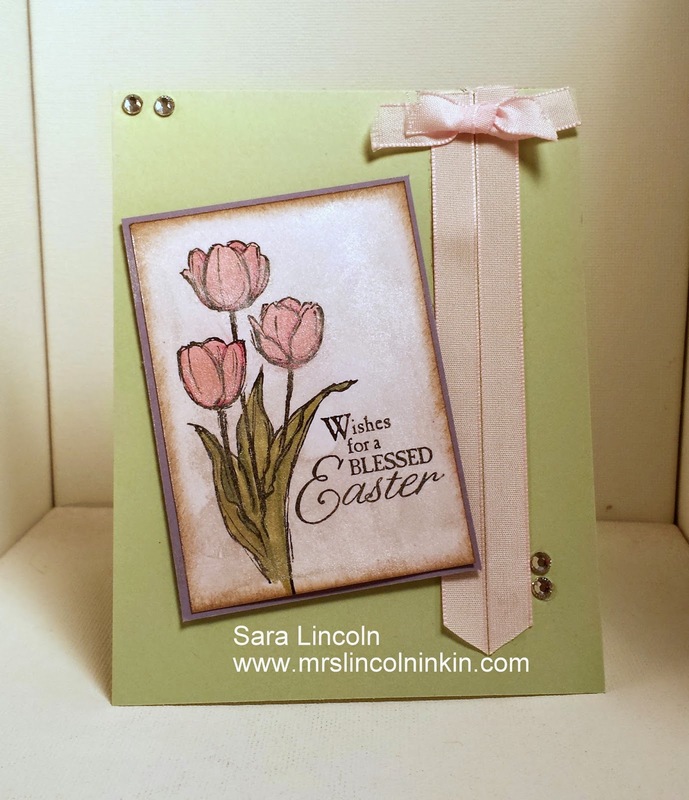 Today's share is of an Easter card that i made using the Blessed Easter stamp set that you can find in the Occasions Mini right now, Blessed Easter is the name of the stamp. I love this stamp because it is great for coloring!! And i LOVE to color! My card base is average size of 4 1/4" x 5 1/2" and is in the Pistachio Pudding card stock. I think this color is a great green color for Easter! 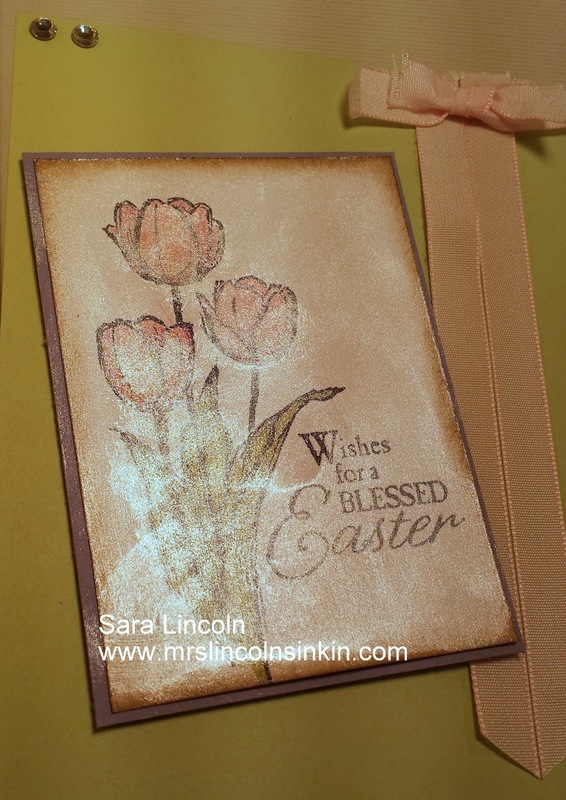 My accent on the side of my card is using my Pink Pirouette 3/8" Taffeta Ribbon. I lined it up in 2 strips and then clipped the ends at the bottom to make them face each other and added a bow. Voila! To add the finishing touches to my sentiment i brushed on some Frosted White Shimmer Paint with a Sponge Dauber. I tried to take an angled picture of it to show you how it glimmers:) The item that i am showcasing today is the Blessed Easter stamp set.